Back in 1997, an initial analysis using radiocarbon dating placed the Shigir Idol's age at roughly 9,500 years. A new analysis this year using seven small wooden samples from the Idol placed inside an accelerated mass spectrometer determined it to be 11,000 years old. That's more than twice the age of the Egyptian pyramids or Stonehenge. Re: Russian Statue Discovered to be 11,000-years-old.. I know, right? I frustrate myself so much But anyway, I found it. I was thinking both of the Mask of Agamemnon and the Helmet/Mask from Sutton Hoo in the UK... they're not really similar after all so perhaps it was just the masklike look to it that made me think so. Anyway! Back to the subject at hand... this is AMAZING! And I don't see any DNA segments there!! I suspect that the markings have some sort of religious significance to the people who created the statue. Yup, could be. Or maybe it's counting, some way of keeping track of time? 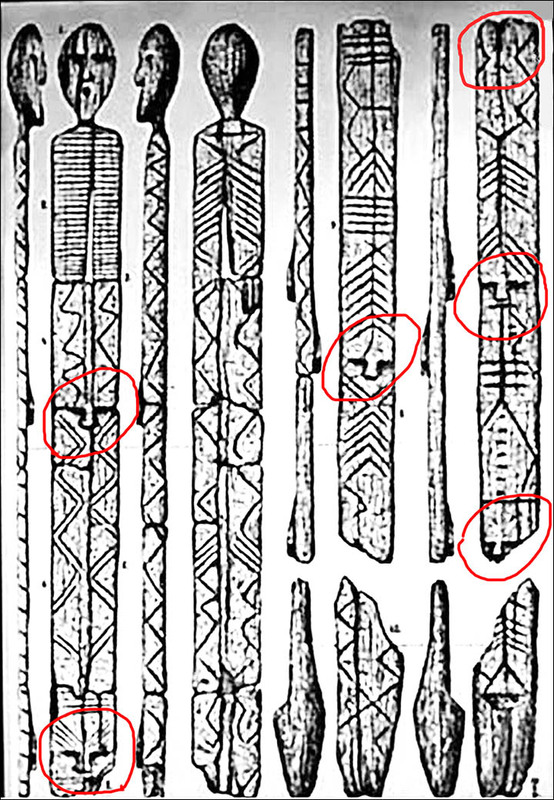 The symbols could represent different groups of the same tribe that live spread out from each other (a primitive union flag?)... a territorial boundary marker? A warning against sickness or pestilence?